Raised as a cradle Anglican, Peter spent his primary school years in St James Cathedral Townsville and his junior high school years at St Luke’s Mosman. He is an old boy of SCEGS (Shore), where his faith came to life in his final year. He married Rachel in 2001 and they have four children. 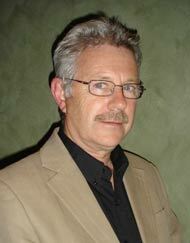 Peter holds a Master of Arts Degree in Theology from Moore Theological College (MTC), as well as honours degrees in Divinity (MTC) and Computer Engineering (University of New South Wales), and a Diploma of Ministry (MTC). Peter worked as a software developer for Telstra, before undertaking a two year apprenticeship in Ministry prior to theological training. After college, he served as the assistant minister of St Philip’s Caringbah for two years. Since 2007 has been an assistant minister at Crossway Anglican (formerly St Paul’s Carlingford), growing existing congregations and developing new congregations amongst young families in the local community. Additionally he serves as a one of the diocesan mentors for young ministers and has just been appointed as an academic mentor for distance learning students for Moore Theological College. Peter loves playing soccer, watching cricket, reading Sci-Fi and fantasy novels, and spending time with his family. He especially loves caring for God’s people and sharing with others the great news of Jesus’ death and resurrection. 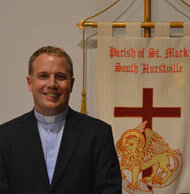 Peter was inducted as rector, at his ordination as presbyter at St Mark's Church, South Hurstville in January 2014. Refer to the Contact page for details. Stephen was born at Mudgee and lived with his family on a farm producing beautiful wool. Church was with my mum once a month (as it was where we lived). After school came Uni and a degree in pure maths (yes I know, a nerd, and still dabbling in it as a hobby). Thoughts of God continued, spurred on by several friends. This time it stuck, and I committed myself to following the Lord Jesus just five months after my 21st birthday. The joy of meeting with God’s people in church took me by surprise. Two blessings: Actually hearing God speak through his Word, and being part of a congregation that cared for each other and welcomed the outsider. These joys have shaped my life’s direction. I’m so happy that at St Mark’s my focus will be on welcoming. After Moore College I was ordained at Armidale, and have ministered in churches at Inverell, Lane Cove, Centennial Park, Glenbrook, St Clair and Jannali. Recently I’ve been part-time chaplain at Long Bay gaol, and currently part-time trainer at a Bible college raising up Christian leaders from a TAFE, learn by doing, background rather than an academic one. Stephen's ministry was formally recognised at a commissioning on 4 February 2018. Refer Contact page for details. Steve was born and grew up on Sydney's Upper North Shore. He became a Christian in his mid teens when it was revealed to him that he could never be good enough for God by himself. He put his trust in the Lord Jesus around the age of 17 and has been seeking to serve him ever since. Steve studied to be a High School Teacher at Macquarie University before undertaking a two year ministry apprenticeship at his home church. He has been married to the Liz since 2011. They enjoy watching movies and going for long walks together. Liz is enjoying being a mum to their two young children. Steve is excited about serving St Mark's as the families and youth minister. He enjoys cycling, gardening and woodworking (but only has time for two of them!). He would love to meet you over a cuppa at St Mark's South Hurstville. Steve's ministry was formally recognised at a commissioning on 5 February 2016. God found Douglas Golding in the large Sunday School associated with Chatswood South Methodist church, where he worshipped for more than 30 years. He studied at Leigh College, Enfield, and was ‘set apart’ as a minister of the Word when he was 20 years old. He spent more than 40 years as a journalist and lecturer in journalism; becoming an Anglican and holding reader’s licences in the dioceses of North Queensland, Canberra-Goulburn and Brisbane. In 1959 he became the first full-time journalist with the Australian Council of Churches, producing its magazine and the material for the Christmas Bowl appeal. After retiring from full-time teaching, he obtained a master’s degree in religious studies from the University of Queensland. He became a member of St Mark’s in 2008, after 24 years as a member of the ministry team at St John’s Cathedral, Brisbane. He is a regular preacher at St Mark’s and conducts the parish’s monthly services of extended communion in three nearby nursing homes. He also leads regular adult education classes in religion and history, and teaches a course in Christian theology at the (Buddhist) Nan Tien Institute at Berkeley, south of Wollongong. Dr Golding is a licenced lay minister and was formally recognised at a commissioning on 1 February 2015. Callan was born in Sydney. Soon after, his family moved the Central Coast, where he completed his primary and secondary schooling. During high school he came to understand the central role that Jesus holds in the Christian faith. Callan moved to Sydney for University in 2008, and it was here that he became convinced of the Bible’s clarity, truthfulness, and relevance, for our daily walk with God. Throughout his Bachelor of Science, Callan became increasingly compelled by the great need our world has to hear the ‘Good News’ of Jesus. After working in Solar Engineering for a few years, Callan did a two-year ministry apprenticeship at UNSW, and is now entering his third year Moore Theological College. Callan is married to Katrina, who works as schoolteacher, teaching Biblical Studies and Visual Arts. He enjoys going on adventures with Katrina, spending time with friends, thinking deeply, and the very rare and savoured event of getting in the ocean. Callan and Katrina are both looking forward to joining, and serving alongside the people of St Mark’s. Callan was formally commissioned at St Mark's on Sunday 4 February 2018. As a cradle believer, Bruce cannot remember a time when he did not believe in God. He attended Sunday School, was confirmed, and became an altar server at St Peter's Mortdale (later Christ Church Mortdale). As a teenager he affirmed his faith at a Billy Graham Crusade. As a young adult Bruce grew in conviction that a critical part of the gospel was to pray and work for peace and justice. Together with his wife Lesley, he volunteered for Community Aid Abroad (now Oxfam) working for development in poor communities and undertaking a study tour of projects in the Indian Sub-continent. In later years he has been committed to working for good stewardship of God's creation through the inter-faith organisation Australian Religous Response to Climate Change. Bruce is a broad churchman, valuing the mystery of the sacraments as an expression of God's love and faithfulness to his people. Bruce was formally commissioned as communion assistant at St Mark's on Sunday 31 January 2016, and appointed parish administrator in January 2017. He also serves as verger for weddings and funerals. St Mark's Parish Council comprises three churchwardens and seven councillors that meet monthly to plan and facilitate St Mark's various activities and ministries. The Churchwardens are: Jill Brown (Rector's Warden); Andrew Boyton; Bill Clarke. The Parish Councillors are: Gwen Cartwright; Marty Golding; Wesley Fairhall; Lisa Kluktewicz; Roger Cedergreen; Robert Nelson; Alan Little (Rector's appointment). 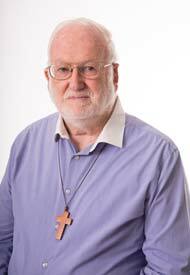 - Synod representatives: Wesley Fairhall, David Ip. - Parish nominators: Bruce Cooke, Andrew Boyton; Jill Brown; Alan Little; Wesley Fairhall. - Safe Ministry Coordinator: Sandra Scott.